Biomedical Sciences is a rapidly advancing field where newer discoveries and technological inventions are a constant feature. Newer technologies require newer skills and competencies. College of Medicine, with a view to cater to this demand for trained technologists and researchers started the Bachelor of Biomedical Sciences [BBMS] program in the year 2014. BBMS program is innovative and best suited for students who are interested in Biomedical sciences and are planning a future in Clinical Laboratories/ Medical diagnostics/ Healthcare/ Life science industry or aspire to do cutting-edge Biomedical Research. BBMS program is of 4-year duration with program learning outcomes aligned to Level 7 of the National Qualifications Framework – QF Emirates and to the Quality Code for Higher Education Subject Benchmark Statement for Biomedical Sciences, UK. The program comprises of general education courses and a number of core courses which lay a strong foundation in biomedical and clinical laboratory sciences. Students are posted in laboratories for pre-internship experience in the 7th semester. The last semester is internship in the CAP-accredited diagnostic and referral laboratories of the Thumbay Group. Research is an important part of the program. Courses in Biostatistics and Research Methodology is followed by a research project in the final year. Thumbay Laboratories, Thumbay Research Institute for Precision Medicine and Thumbay Institute of Population Health support the faculty and students of the college to undertake research. Students are encouraged to take summer elective training within the country and abroad in either research or diagnostic laboratories as per their interest and choice. On successful completion of the program, the BBMS graduates will be able to work as technologists in clinical/research laboratories or in the medical diagnostics industry. They will also be well prepared for further graduate studies in fields such as Genetics, Molecular Diagnostics, Immunology, Clinical Chemistry, Toxicology, Microbiology, Public Health etc. 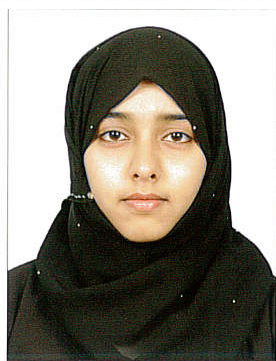 The applicants from UAE education system offering General Track/Stream or Abu Dhabi Education Council criteria must have secured an overall average of 70% or above marks as per UAE Secondary School Education Standards and should have scored an aggregate score of 60% or above in Biology, Chemistry, Physics / Mathematics in the 12th Grade. ·An aggregate score of 60% or above in Biology, Chemistry, Physics / Mathematics in the 12th Grade. 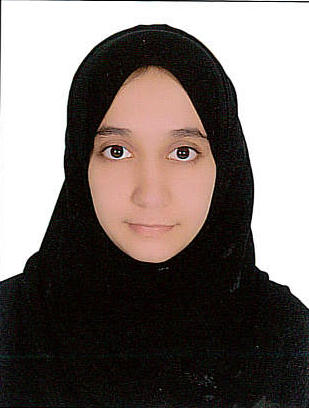 An aggregate score of 55% or above in Biology, Chemistry, Physics / Mathematics in the 12th Grade. Indian Central Board/ICSE Student should secure an overall minimum score of 55% (B Grade) and above in the 12th Grade. An aggregate score of 50% or above in Biology, Chemistry, Physics / Mathematics in the 12th Grade. Bangladeshi Board Student should secure an overall minimum score of 55% (B Grade)and above in the 12th Grade.· An aggregate score of 50%or above in Biology, Chemistry, Physics / Mathematics in the 12th Grade. USA American Diploma Student should secure an overall minimum score of 70% (C Grade) and above. Applicants from any other non-UAE educational systems not listed above must have secured a minimum aggregate score equivalent to UAE 70% or above as per International Grade Conversion Table published by WES. * After fulfilling requirements of respective licensing authorities. 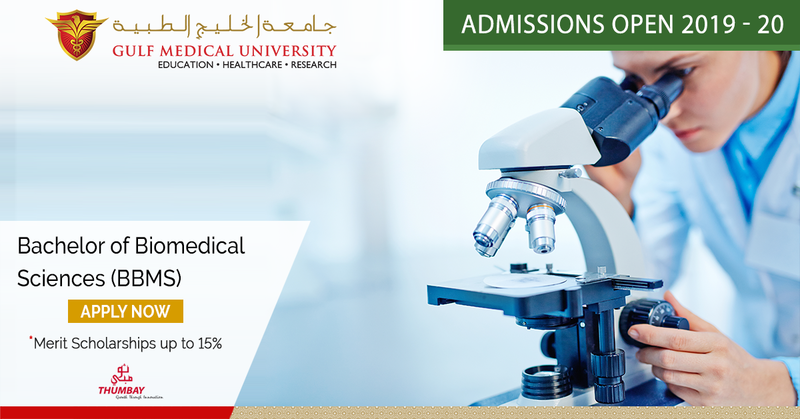 Gulf Medical University was the first university in the entire Gulf region to introduce the Bachelor of Biomedical Sciences (BBMS) program. This program is specifically tailored for those students interested with the science of human medicine, to work in clinical laboratories, diagnostics or research. The course was systematically divided into 8 semesters with clear learning outcomes, which allowed us not only a to gain in-depth knowledge and keen insight into the many disciplines of Biomedicine and Laboratory Sciences but also helped choose our field of interest for higher studies. We also gained the necessary research skills both theoretically and practically through our thesis work. The best aspect of this program was the internship during our final semester in the CAP-accredited diagnostic and referral laboratories of the Thumbay Group. I have been accepted into University of Bradford for their Drug Toxicology and Safety Pharmacology Master’s program for Fall 2019. As part of the BBMS family at GMU and a proud alumnus of this department, I can say that the four years of my undergraduate degree was one of a kind. Through Biomedical Sciences I was able to gain knowledge in a breadth of subjects which has constantly challenged me to look at any case from all possible angles. My understanding in every field was strengthened by an exceptional group of professors and extensive hands-on experience throughout the program that took my learning beyond the constraints of the class. I found myself able to step out of comfort zone and communicate and learn from experts in various fields through conferences, competitions and workshops hosted and collaborated by the university. For my undergraduate research project, I worked on the “Assessment of micronuclei (genotoxic marker) in the buccal cells of shisha smokers and non-smokers.” I did my internship (final year) in both Thumbay hospitals and the Thumbay Diagnostic Lab where I was able to interact with the patient and work under supervision in all diagnostic fields. I was taught all the needed laboratory techniques; how to think in a more scientific and practical way, and how to formulate scientific questions. 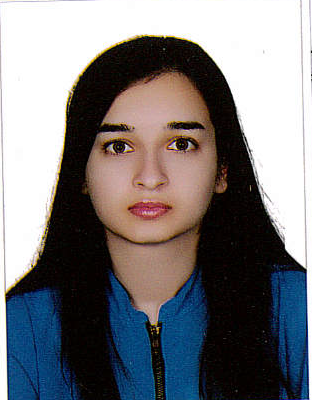 After I graduated with honors, I was lucky to follow with a research internship at the Thumbay Centre for Research and Precision medicine- where I’m investigating the exposure of lung cancer cell lines to shisha extract and how it could possibly interfere with chemotherapeutic drugs. Most of the subjects (cell biology, biochemistry, molecular biology, statistics) I undertook have provided me with a strong foundation to work with. This experience has exposed me to techniques and skills one would learn only later on in their careers. All I aspire now is to pursue my postgraduate studies in cancer biology and genetics and to become an essential member of a community that I could make a difference within in the future. I was always passionate to study the mechanisms of biological life, apply biomedical knowledge, and promote the quality of healthcare. After completing my high school studies, I came to know about the interdisciplinary program being introduced by the College of Medicine, Gulf Medical University – Bachelors of Biomedical Sciences. During my study at GMU, I have not only gained basic sciences knowledge but also developed communication skills and personality attributes. I have served as the Joint Secretary of the College in the Student Council, and as the Class Representative of my batch for two consecutive years showcasing my expertise. The distinguished Professors have enlightened my scientific knowledge in the best manner. The professors were quite welcoming, cooperative and were willing to assist throughout my college life. My experience at GMU is built on both theoretical and practical sessions. In the coursework, education was provided from a basic introduction to clinically applied level with hands-on experience on biomedical equipment. The College facilitated educational field trips and various on-campus activities for advanced learning than just adapted traditional learning. The exceptionally designed courses, namely Journal Club, Skills, and Research Methods; have progressed my presentation skills and scientific literature writing. the later years, clinical cases were discussed based on the medical studies and correlated with the practical life. The final semester was planned with an internship in different medical departments of the laboratory to be trained in different medical streams with routine and advanced techniques being used. 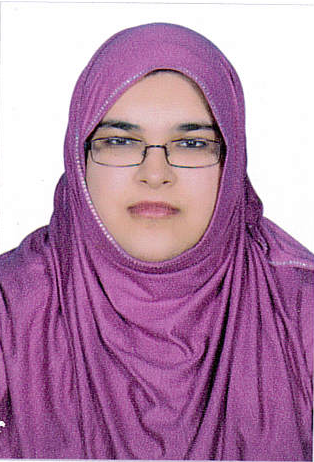 My dissertation work was on the topic “Prevalence of ESBL genes in Enterobacteriaceae in Urine Samples from Thumbay Hospitals, U.A.E”, based on molecular microbiology concept. I have presented the research project in a research competition conducted by Islamabad Medical College and grabbed the 1st Position in Oral Presentation. I believe I have had the best college life anyone could ever think of, and this was mere because of my friends, professors, and well-wishers. Currently, I have cleared the Graduate Assessment Test (GAT) in Biological Sciences & Medicine with 99.62% percentile and have secured admission in National University of Medical Sciences, Pakistan to pursue M.Phil in Molecular Medicine. I wish to be a promising biomedical scientist in the near future, Insha Allah! 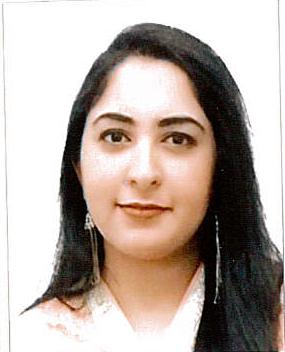 My experience studying Bachelors Of Biomedical Sciences (BBMS) in Gulf Medical University has been enriching in terms of academics and research training. Being an honor graduate, the years spent in BBMS have been the best concerning learning, experience and gaining exposures to fields relevant to my discipline, all due to my faculty members. This course has taught me all the relevant skills I need for independent work to progress through to become a qualified biomedical scientist by achieving international qualifications. Moreover, it has also given me adequate knowledge required to pursue my masters in Molecular Biology. BBMS has proved to be a very well executed precursor in my career growth as well as in my ambition to serve mankind.